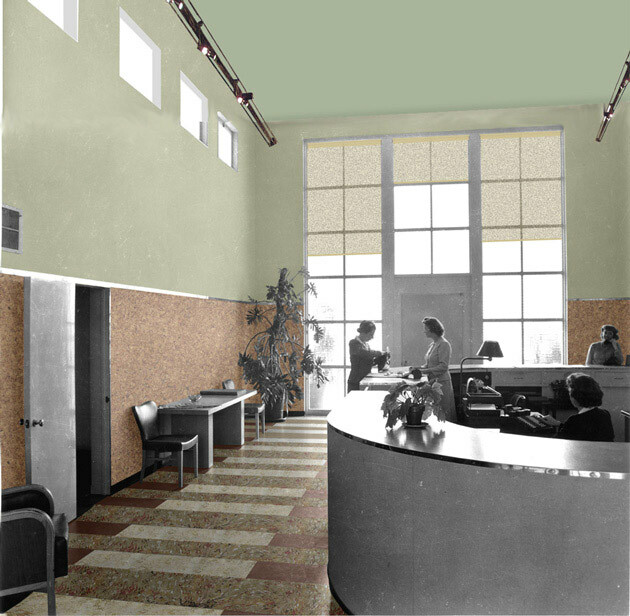 Architects Reginald Johnson and Robert Alexander designed the administration and reception room at Village Green, which is a premier example of the American Garden City idea advanced by Clarence Stein in response to urban congestion and decay. 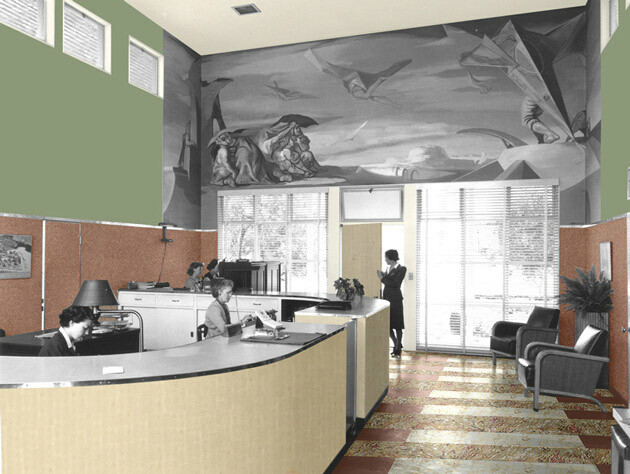 With partial funding by a grant from the Getty Foundation’s Preserve LA program, Moule & Polyzoides restored the original modernist aesthetic to the buildings, which had suffered from various insensitive remodels that had hidden linoleum floor tiles, cork wall panels, historic colors, fixtures, hardware and an important mural by noted Los Angeles artist Rico Lebrun. Village Green has been saved and is now on the National Register of Historic Places.